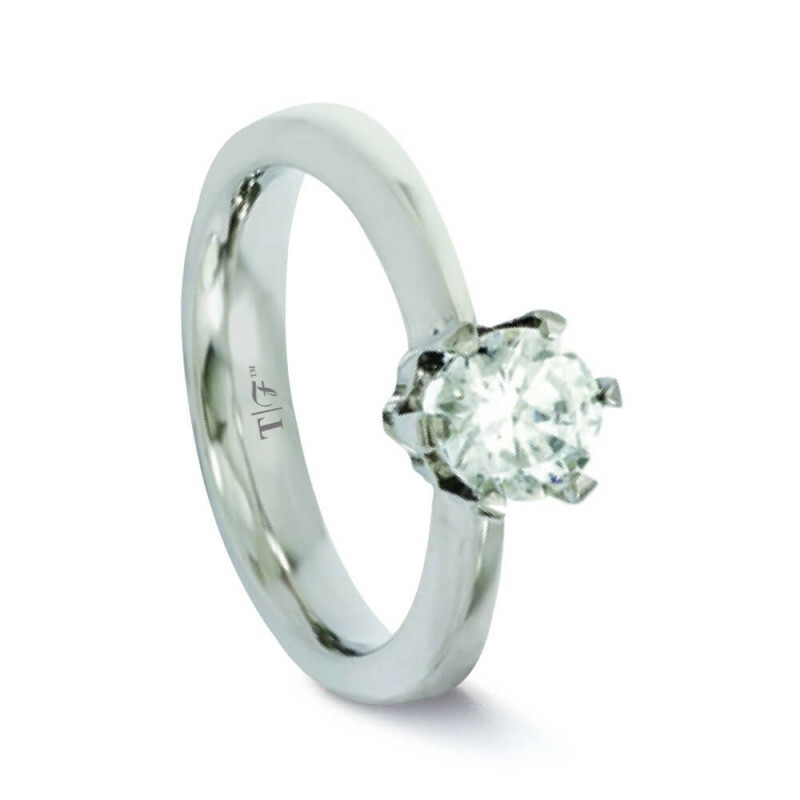 GAIA is a women's titanium wedding ring that embraces tradition. A six pronged high polished titanium setting houses a large cubic zirconia stone of dazzling brilliance. The band itself is just 3.25mm wide making it a perfect width for most ladies' hands.